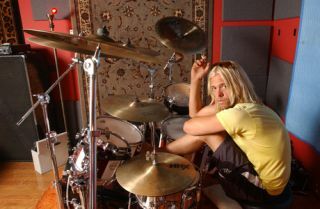 Taylor Hawkins loves Queen. He really loves Queen. So who better to help put together the tracklisting for a brand new Queen compilation? Taylor has worked together with Roger Taylor and Brian May to come up with the inclusions and omissions for Queen's Deep Cuts Volume One 1973-1976. Take a look at the tracks the trio picked below. Thoughts? Has Taylor played a blinder? Are there any glaring omissions? Does the world really need another Queen compilation?